Jigra International Business PLC was established in 2009 and became fully operational at the beginning of 2010. Since the date of its establishment, it has been endeavoring to hold the forefront line in supplying of range of industrial chemicals which used as raw material for different local industries in Ethiopia. Jigra is opening Ethiopian company in making quality and customer satisfaction a way of life. Our company office is located at the pulse of trade as well as at the heart of the country which is the destination of international companies, Addis Ababa. This strategic location helps us to work with different local and international companies and institutes. More over, our office is specifically located on the road from Bobmarly Square(Imperial Hotel) to Bole, Wereda 17 Health Center, which is infront of National Youth and Sport Academy with satellite store that contains different range of chemicals which enables us to show samples of the chemicals as well as to do retail sales for different customers. Our main store is located in Dukem 30km from Addis which has 2,000square meter warehouse in the total area of 4,000square meter which has extra space for futher expansion and construction of warehouse upon the demand of the work volume. 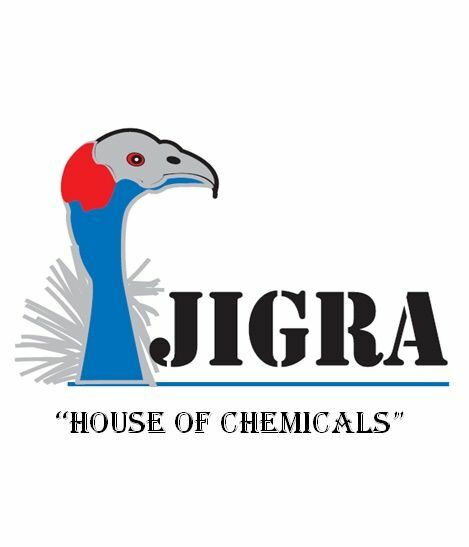 At, Jigra International Business PLC , customers enjoy the highest standards of excellence. Quality Service is our target! The customer ------ Is always first! We are committed to deliver quality services for our customers at a reasonable price and at the time they demand and provide after-sale technical assistances. We, at Jigra, believe that time is the all important criterion like quality. We are ready to deliver customer orders not just on specific date but also at a specified time of the day. Not just Quality, Delivery Time Too! The company helps the country to build vibrant supply chain with local industries and those interntaional companies that are operating locally. We always support and save these companies in a time when they run out of stock which could have been a lot loss by operationg under capacity. Moreover, the company provides factory assessment and quality control services for international buyers for products manufactured in Ethiopia; this is a service that help local industries and overseas buyers to establish a smoth export terms specially meeting the required quality product and delivery time that are gareed by both parties. Our Company imports the most suitable standadized chemicals from depedable sources in refrence to clear and needed specification. We take smaples of our stock for testing in the national laboratories to get third body conformity assessment service and our company technical staffs also do visually check against the specification or the given standard requirements to make sure our imported chemicals meet the desired quality. Moreover, we send samples for new arrival chemicals usually to our customer most of which are manufaturing in dusteries to let them do thier own quality checking. Our company does after sales follow up to make sure that our custromers are completely satisfied with the quality of our chemicals. We also provide the necessary technical assistance to bridge the gap (if any) by providing technical data sheet and other required information. Our Company is developing total quality management system to build a quality culture in the company structure that enables us to serve our customers in the possible optimal way. We are very committed to supply chemicals consistently that meet customers requirments first and every time. A. Local Supplies: We supply range of chemicals from our local stock.